Here is a little one-man turn based strategy game. 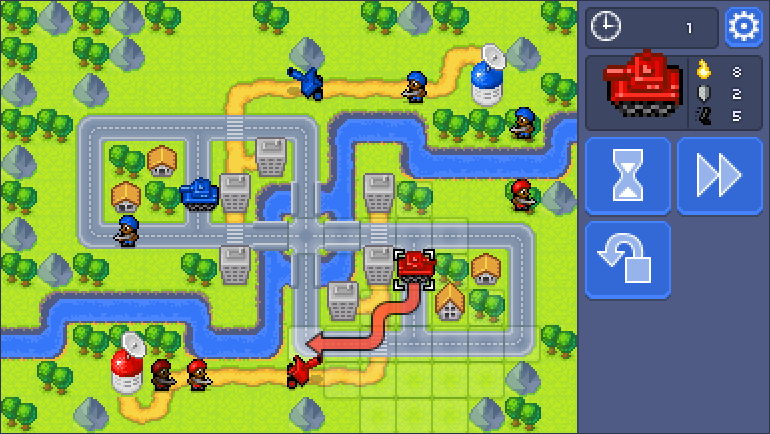 The game is heavely inspired by Advance Wars and simple but fulfilling battles of older DOS versions of Civialization and Colonization. 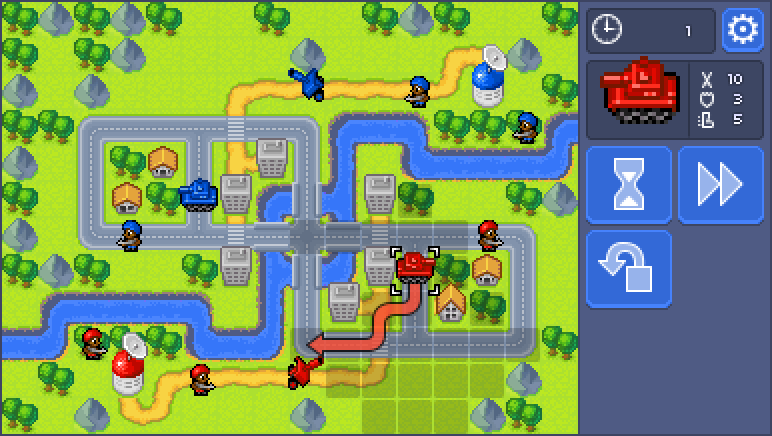 The game consists of a number of small tactical scenarios each supposed to be quick and played as a little puzzle. Apart from singleplayer the game allows you to play with your friends in an asynchronous (aka play-by-mail) online battles. Multiplayer is already functional in the mentioned above build. What you see is a placeholder programmer-art drawn mostly with Aseprite. This art is here until I found an artist willing to contribute to the project. I made units to fight back. In the earlier build only the attacker would deal damage. Initially turn of the unit would be finished after the first move - now you can do it in multiple steps until move points deplete. End turn button is back. Terrain effects are explicitly shown during the fight and when choosing movement destination. Attack ranges for own units are now shown. Added a level that is supposed to teach player how to use terrain to own advantage. I love the look and feel of it. I think it looks lovely - keep the style as it is, it's got real charm! I found it a little confusing sometimes, not knowing what effect the different terrain and building have. The icons which pop up (shield, red cross) help, but they are only visible when you've got a destination under the cursor... maybe they should always be visible? But that'd be a bit cluttered, visually. Or maybe there should be "?" icon, which pops up a box displaying each feature (building, tree, mountain) and beside them icons indicating which effect(s) they have. It's easy enough to get once you've played a couple of levels, but you want the first-time player to immediately know how it all works. Play Zig. It's a game where you shoot stuff. Devlog. After the Light. It's also a game where you shoot stuff. I am keeping sweet audio for the end, but yes, I want some cheerful drums. Cheers, yay, I have to get back to drawing then!.. I am a bit puzzled with how to communicate terrain effects at the moment - I have tried to show icons when the unit is under the cursor but then it obscured icons that appear during the battle, made them less noticable. I am thinking now of adding tooltips that would appear if you hold your the mouse still. If this gets annoying - I would like to try with (?) button as you suggested. That is a good idea. Experimenting now with a movement arrow showing path to unreachable yet location. Game progress is being saved in the localStorage from now on. Ooh that's an interesting idea. I'm playing with something similar in my game — what do you see as the use for it here? I had been watching some people playing for the first time and some of them don't notice grid of available moves at first. I hoped that this could help to educate them: you can also go there, but in steps. It should also help players to learn about different terrain cost as it always shows the fastest path. It adds a bit of clutter though. I want to keep it only if it works as expected. Otherwise it looks cleaner without second arrow. Hey, this looks cool. 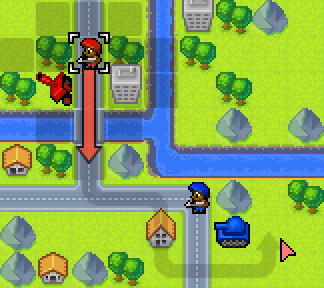 I liked Advance Wars, and this has a very similar style. I like the soldiers jumping around. 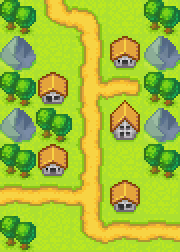 Have you thought about changing the grid colors to be more indicative of where you can move? I think dark gray transparent squares don't read as "you can move here" as, say, green or blue opaque squares. I agree that the black is overlay is not most welcoming color, but I am strugglying to find something that doesn't break the color palette - I have tried some blue and green tones, and the whole thing looks way to vivid then, too many colors. Just added some tank animation. Added animation to articulate that artillery is deployed and can attack. Yay, just uploaded first build with a working Multiplayer! Took me quite a bit of time to get it to a working state. It is possible to play 1vs1 with another player. One can invite other player to play a game just by sending a browser link. New symmetrical level for multiplayer, and new UI style that is supposed to be more vivid and clearly separate active UI elements from static ones. Progress screen is animated now.